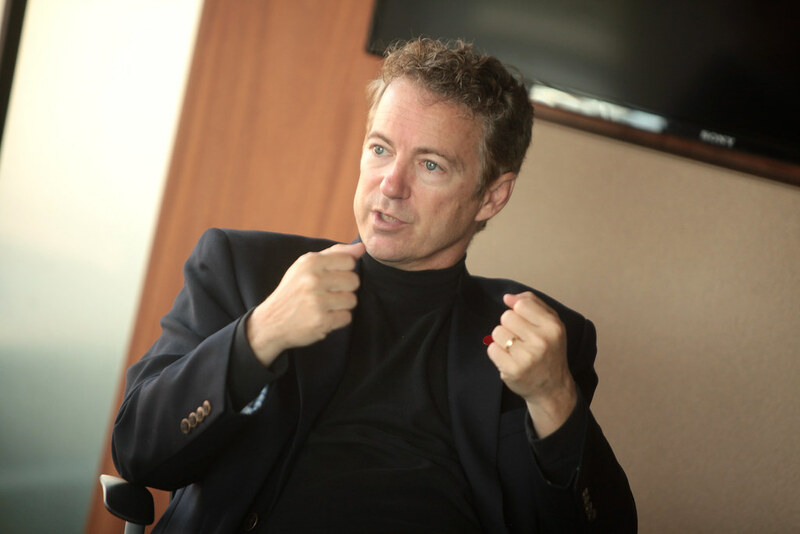 Rand Paul has a problem: He really wants to run for the 2016 Republican Presidential nomination, but if he does so he can’t run for re-election to hold his Senate seat. Seems there’s a rule in his home state of Kentucky that does not allow his name to appear on the ballot twice. Hmm…what to do? Simple, you just try your darndest to get around that pesky rule! Just last week Senator Paul wrote a pleading letter to the state GOP asking that the state’s Presidential primary be changed to a caucus, which would mean Paul would only show up on the ballot for Senator from the Bluegrass State. But the state party chairman says party members have “lots of questions” regarding the change to a caucus. “(The)?law is absolutely clear. ?You cannot be a candidate for more than one office in the state of Kentucky. He cannot run for two offices at the same time.? Further complicating the change in state law Paul seeks is that the Kentucky House of Representatives is controlled by Democrats. Oh, and the Governor of Kentucky, Steve Beshear, is also a Democrat. Poor Rand Paul. Seems he would so much love to be in two places at the same time. Maybe he can clone himself and make his dreams come true. Then again, maybe he could just follow the rules like the rest of us and make up his mind.